Welcome to the website of our lodge. 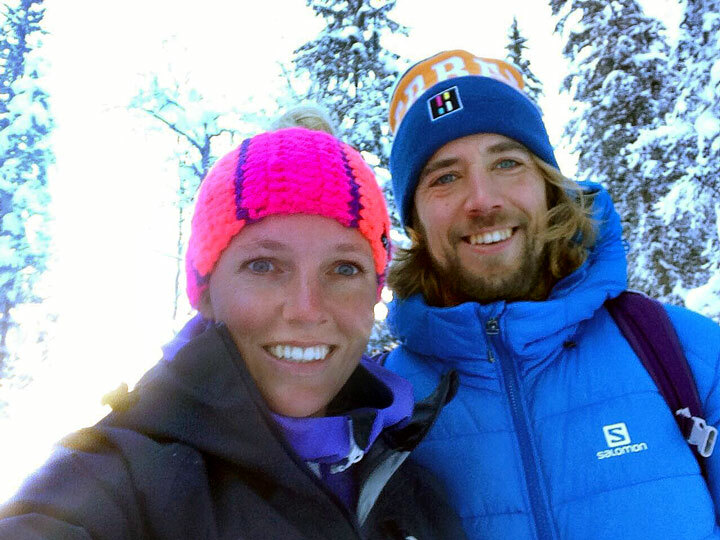 We are Boaz and Sanne, a Dutch couple who have exchanged the city of Amsterdam for an active outdoor life in the mountains. 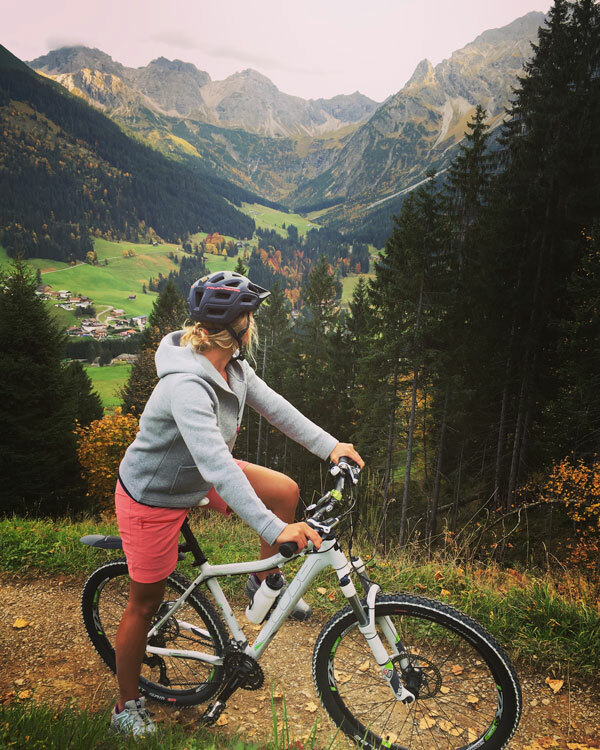 We are both Wintersport fanatics, and recently decided to move to the Kleinwalsertal in Austria. 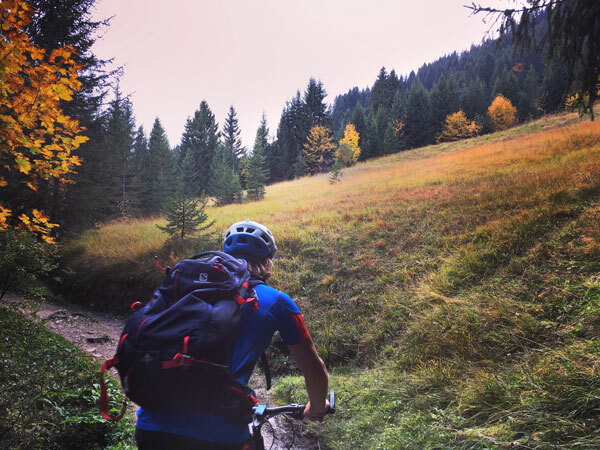 An easy decision, as we've been coming to Kleinwalsertal since our youth. In recent years we have been very active in the freeride and tour skiing scene. We competed in international contests and were in the mountains almost every week during the winter. We have left the contest circuit behind us, but our search for fresh snow and first tracks continues. Besides the lodge, Sanne also runs a company called Chicky Clinics. She organizes Freeride trips for woman, and events for ski-related companies. Until recently, Boaz worked for the outdoor brand Salomon. And still knows a lot about ski and mountain equipment. We have decided to move to Austria to be closer to the mountains, without having to spend hours in the car. Whenever we have a free moment, we put on our boots and go out for a hike, a ski tour or a quick run down the slopes. We wanted to start our own company in the tourist sector, and give our guests a pleasant stay in the lodge. In December 2017 the doors of the KWT Lodge in the mountain village Baad will open. Until that time, we will be busy with the refurbishment of the present hotel. A large section of the building will be renovated (interior and exterior) and the current rooms will get a modern update. We run the lodge together. Sanne continues organizing trips and events for Chicky Clinics. Besides her regular surf and snow trips, she will also organize outdoor activities using the lodge as a base. Our aim is to create a cozy atmosphere and provide all the comforts needed for a perfect vacation in the mountains. Whether you are travelling with your family, friends, together or alone. We hope to welcome you at our lodge!